Surprising little critters hiding in the soap. 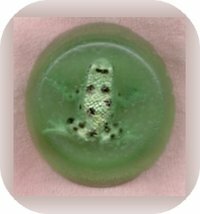 Personalize glycerin soaps with bugs, spiders or other little critters – and put the fun back into washing your hands. Kids like the surprise factor, and it doesn’t hurt that to get the little animal out sooner they will have to wash their hands more often. The Glycerin soaps you can see through work best to be melted. If you have some that will not melt you can reserve them to be used for the chunk soap. Cut the bars of soap into 1/2 inch chunks. This helps it melt faster. Melt one color at a time. Place the chunks in a glass microwave dish and heat on high for 10 seconds in the microwave oven. If it is not completely melted, heat for an additional 10 seconds at a time until it is melted. Do not overheat. Heat only until the soap is melted. Pour into different shaped containers to mold, such as a paper drink cup (about 1/2 to 3/4 inch full), plastic soap molds, odd shaped small boxes etc. You can make plain bars or use soap pieces that won’t melt, by cutting them into thin chunks and pressing into the melted soap. This will make chunky soaps. Pour into shallow candy molds. You can add plastic bugs, toys, etc. into the soap. Allow cooling before removing from mold. If the soap is used only for decorative purpose (I think you should utilize everything you have) then you can’t re-use the little creatures inside, but if you use the soap, preserve the little inserts for your next batch of soap. Note: Although it is not absolutely necessary, spraying the mold with a little no-stick cooking spray before pouring your soap may help to release the soap.